A huge storm system threatens more than half a dozen states bringing hail, tornadoes and torrential rains. This comes a day after the region was affected by severe weather. Meanwhile Tropical Storm Dolly in the Gulf Of Mexico makes it’s way toward Mexico with winds up to 45mph. The Storm is expected to fizzle out when it makes landfall. A strong earthquake struck southern Peru on Sunday evening, injuring at least two people and damaging buildings, authorities said. A house was destroyed and 19 other buildings were damaged, including a hospital, Peru’s Emergency Operations Center said. 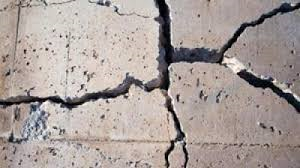 The 6.9-magnitude earthquake hit a mountainous area 43 kilometers (27 miles) east-northeast of Tambo at a depth of 101 kilometers (63 miles), according to the U.S. Geological Survey. The USGS revised down the quake’s strength from the magnitude of 7.0 that it initially reported, as well as adjusting its data on the location and depth of the epicenter. The damaged buildings included 14 houses, three schools and a church, according to authorities. The emergency center also reported minor landslides in two areas.